Giant Inflatables…We kick it where it counts! Giant Inflatables…You Dream it...We Build It. The Giant Inflatables Genius Team has the job of creating and designing our unlimited range of custom made Inflatable Sports games and activation's. These games are designed primarily with skill, agility and fitness considerations in mind. However, the over-arching principle that keeps our company the No. 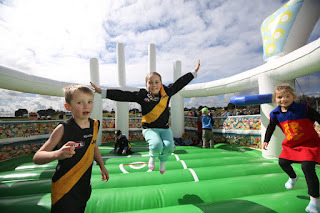 1 Inflatable Sports Supplier is that our sport inflatables are Engaging, Fun, Interactive and Safe. Over 240 million people worldwide play soccer today. Being such an internationally acclaimed game, the sport has attracted many great brands supporting the passion and engagement in the sport and the spinoff benefit to their brand. 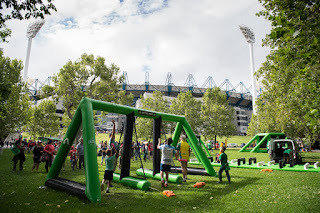 There are numerous inflatable game types that typify the game of soccer. Each one is fun, engaging and highly Brand-able. 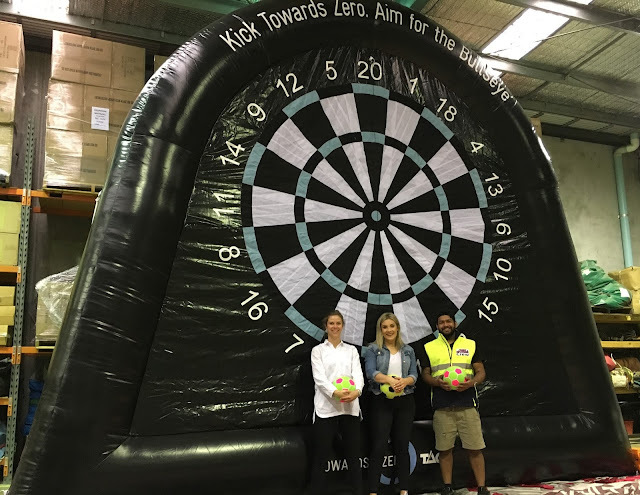 Fans and brand enthusiasts as well as sport players always love the fun of using Inflatable Soccer equipment to demonstrate and challenge their skills. The Soccer Inflatable Fields can be set up anywhere making “Street Soccer” truly on the street. Giant inflatables produce a wide range of highly brand-able football and soccer related inflatable games and enclosures. Expose your brand to the elements and let your fans engage with your brand and team on all sensory levels. Now is the time to make your brand stand out on a larger than life platform with visible return on your investment. See it on the faces of the fans. With the arrival of tennis in Australia in the late 1870’s, it quickly became a widely played sport for both fun and on an elite level. Being such a popular sport and with Australia hosting the Australian Open as part of the Grand Slam Tournament, Big Brands have been widely built on the back of the patrons passion for tennis. With that in mind, sponsors have witnessed the benefits of using Giant inflatables designs and products in the area of tennis related inflatable games enclosures and courts. These inflatables are highly visible and due to their size, they really bring the brand to life. Many of our inflatable tennis activities are designed to improve skills, fitness and agility. They are able to test and measure skill levels and can be supplied with electronic measuring devises with large screen monitors that document speed and accuracy. With the Australian Open appearing around the corner - I know it is already the end of August - Crazy! Act Now by calling us to assist you with your Brand Activation to establish the emotional connection with your brand on all levels of the participants senses.